No one likes an upset tummy, and that includes your dog! While our four-legged friends can’t tell us if they have a belly ache, pet parents know when something isn’t right. Whether your pup vomits, has a bout of diarrhea, or just seems under the weather, loving pet parents will do just about anything to help. While you should consult with your vet if there are any noticeable changes in your dog’s health or habits (especially if they’re prolonged), sometimes it’s just anxiety, car sickness, or unsettled food that’s the culprit. Below, you’ll find a list of herbs that can help soothe your dog’s tummy troubles. If you think your pet may have ingested something toxic that’s causing the issue, call your vet or local emergency clinic immediately. You can also use the ASPCA poison control phone number: (888) 426-4435. Ginger is a well-known stomach soother, for humans and dogs alike! According to PetMD, the root has been used for medicinal purposes for centuries. It can be especially helpful for pups who suffer from nausea or car sickness. This savory herb is great for more than just seasoning pickles — it can help alleviate your pooch’s tummy troubles. Dogs Naturally Magazine explains, “It’s known as an overall digestive aid, helping with gas, nausea, cramping and appetite.” What’s more, dill has antioxidant properties and can help freshen breath. Don’t go feeding your dog red vines, now – licorice root is the traditional flavoring in black licorice. The root has been used as a digestive aid and anti-inflammatory in cultures across the world for generations. For dogs it is a completely safe (in moderation) supplemental herb. According to Dogs Naturally Magazine, the herb can help your pup with even more, such as easing itchiness from allergies, liver support, and more. Plus, dogs love the flavor! This plant is sometimes added to dog treats in order to freshen breath, but it can also ease stomach discomfort. Large amounts can cause problems for your pup, but it’s a great home remedy if given in moderation. A note on this, though: do not confuse Italian parsley with spring parsley, as the latter can be toxic. If trying to figure out how to give your pup all these herbs makes your head spin – don’t worry, we have a really great solution that we use for our own pups! Our Pronine™ Flora 4-in-1 probiotic supplement, not only contains digestive herbs but also boasts pet-specific probiotics, prebiotics (food for the good bacteria), and digestive enzymes. Dog’s absolutely LOVE the chicken liver flavor! 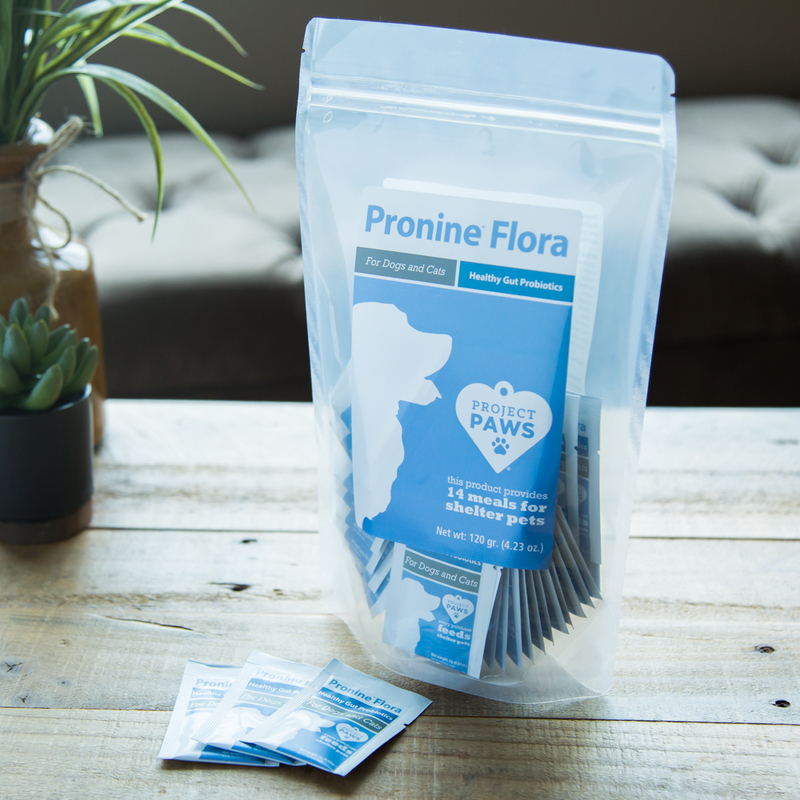 Pronine™ Flora comes in individual, easy to administer single-use packets to ensure freshness.